There are a few times throughout the year when I get the urge to purge and do some organizing. At the start of the new year, spring, right before the kids go back to school and right before the holidays. We still have a little time before the kids start school, but I’m already starting to go through drawers, closets and desks in their rooms. I’m kind of a sucker for everything having a place. It cuts down on things getting lost and of course keeps things looking nice and clean. 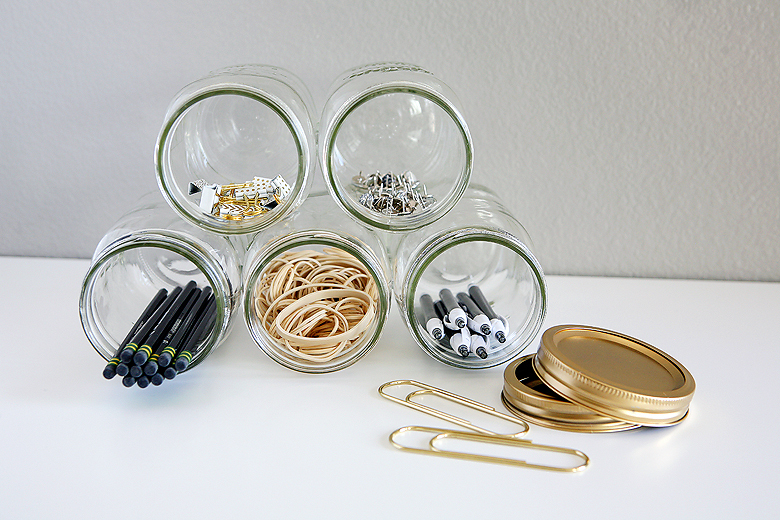 Today we want to share this fun little Mason Jar Organizer that can help keep a number of different things stored and looking great! 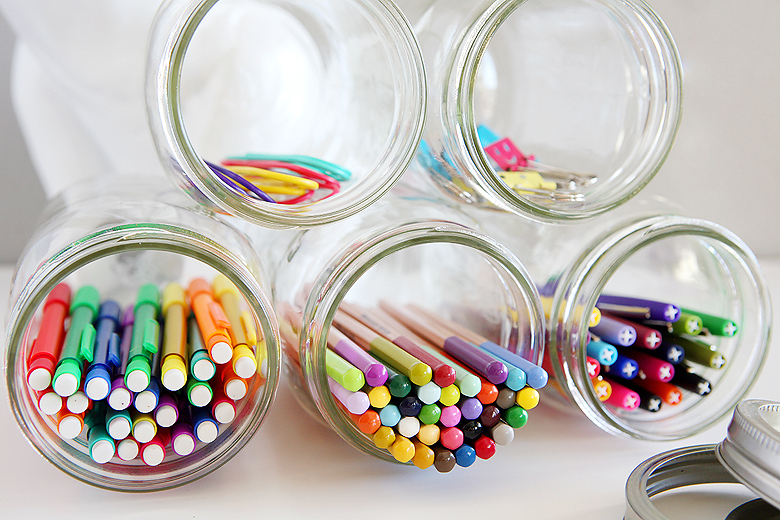 First things first, get your jars glued together because there is a bit of drying time involved. 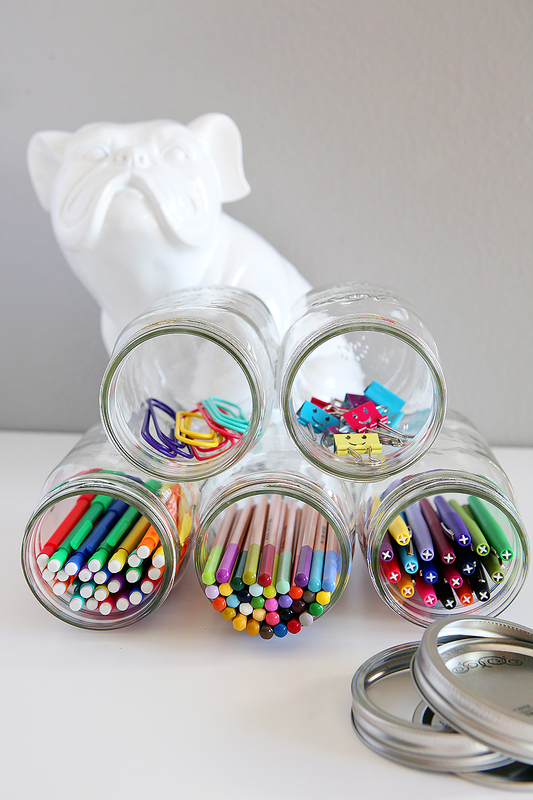 Glue your three bottom jars together and your two top jars together. 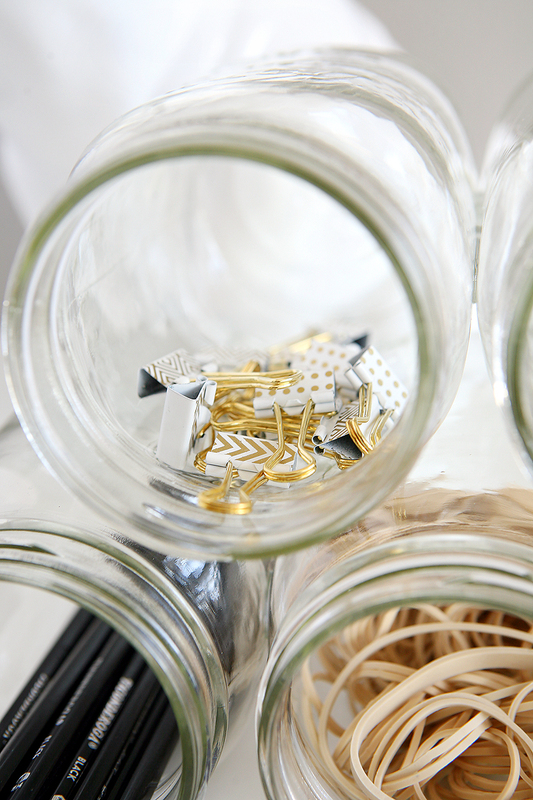 Use rubber bands to hold them in place while they dry. 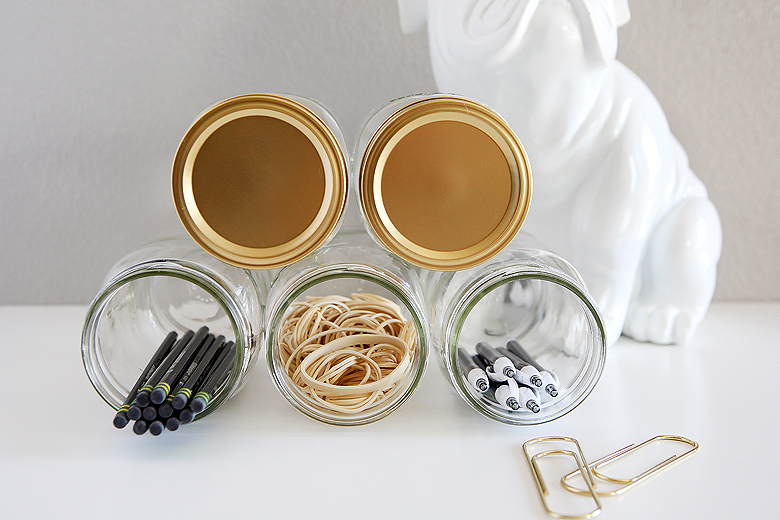 After at least 48 hours go ahead and glue the two jars to the top of your 3 jars. Again let dry for about 48 hours. 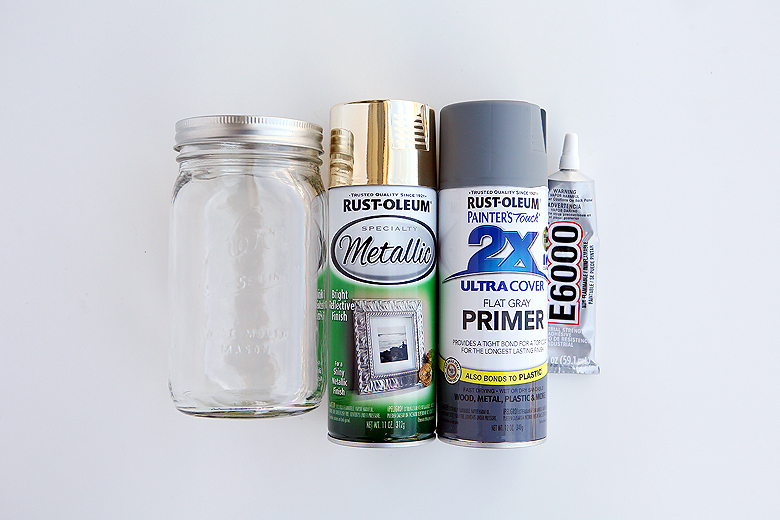 Now you have the option of spray painting the lids of the top two jars. Or you could leave them alone or not use them at all. Whatever works best for you. If you decide to paint them give them a couple light coats of primer. Then a couple light coats of the gold spray paint. Make sure you let each coat completely dry in between. 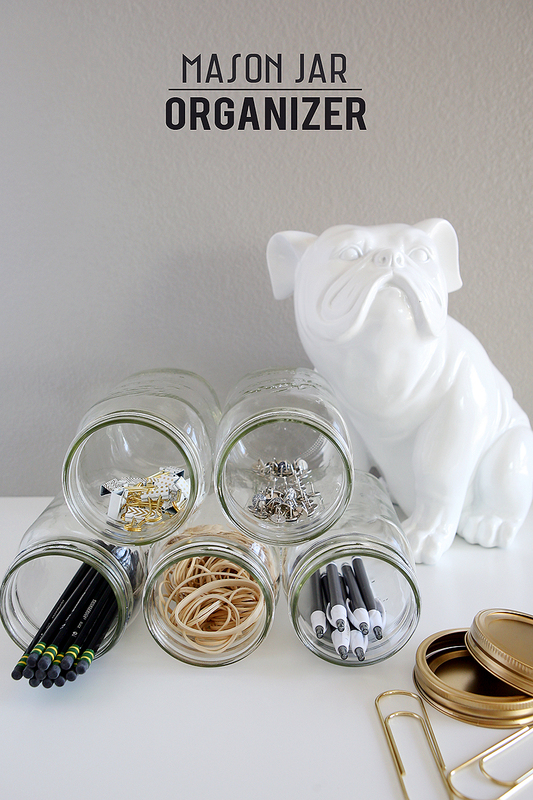 There are so many different ways to use these jars. Obviously office supplies look great in them… but we also think art supplies work great! You could even use them in the bathroom for your cotton balls, q-tips and hair supplies. Always handle your organizer gently. The glue does it’s job, but we can’t be sure how much handling they can hold up to. We made ours about 6 months ago and it’s holding together great so far!